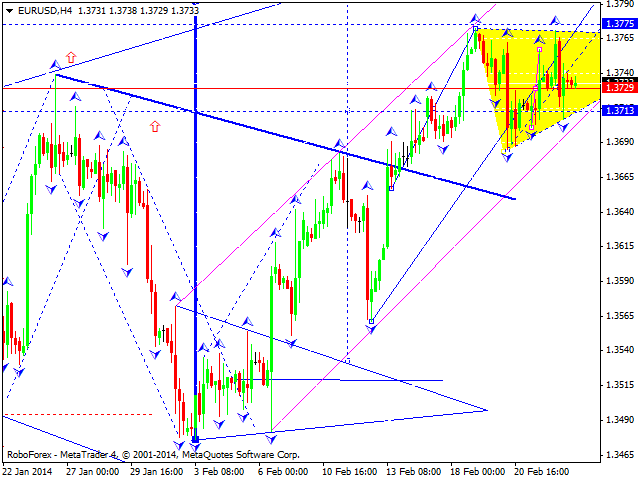 Euro is forming consolidation channel in the form of triangle pattern. We think, today price may form ascending structure to break pattern’s upper border and continue growing up towards level of 1.3900. Alternative scenario implies that instrument may continue consolidating towards level of 1.3680 and only after that then continue moving upwards to reach level of 1.3900. Pound hasn’t completed its correction yet. We think, today price may rebound from level of 1.6700 and then reach level of 1.6580. Later, in our opinion, instrument may continue growing up according to our main scenario, towards level of 1.7000. 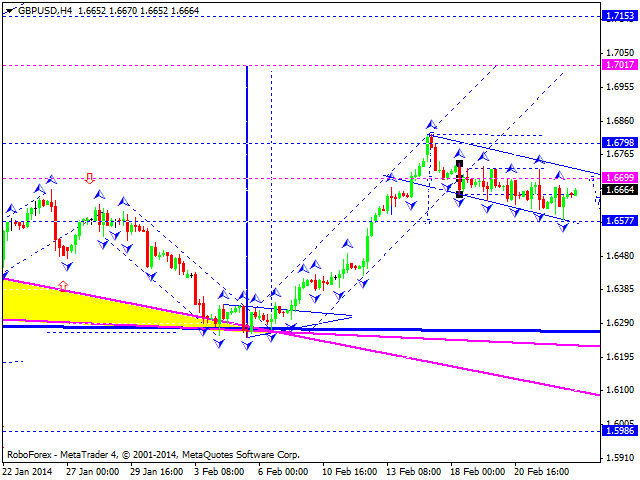 Franc is still falling down; market is forming another consolidation channel to continue descending trend. 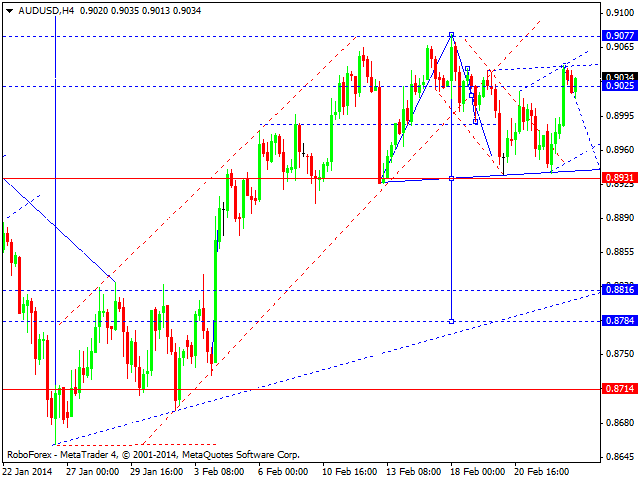 We think, today price may reach new minimums and then continue falling down towards target at level of 0.8730. 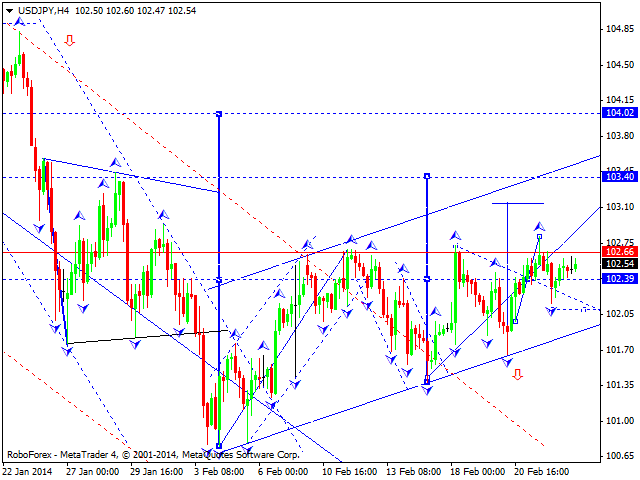 Yen is still forming the third ascending structure with target at 103.40. We think, today price may reach this target and then start correction towards level of 102.10. Later, in our opinion, instrument may complete this correctional flag pattern by forming the fifth wave and reaching level of 104.00. After that, pair may start another descending wave towards level of 100.00. Australian Dollar is moving upwards; market has reached minimum target of correction. We think, today price may form descending structure towards level of 0.8965 and then start another ascending movement to reach level of 0.9050. 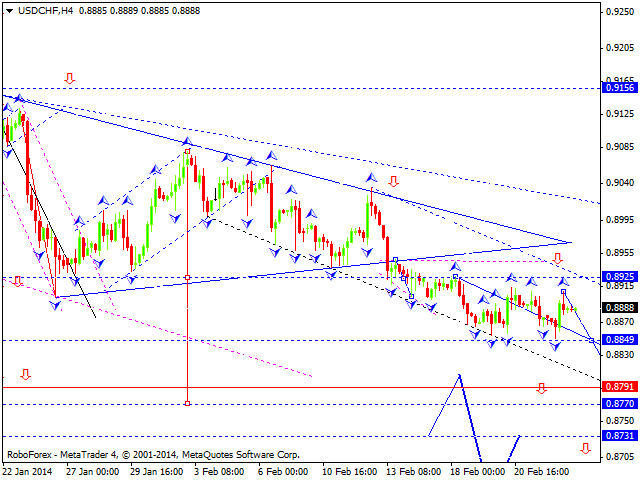 Later, in our opinion, instrument may continue moving inside descending trend to reach level of 0.8400. 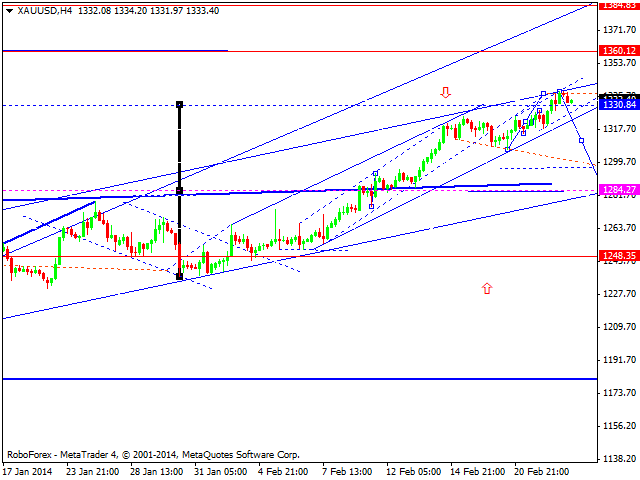 Gold reached target of the third ascending wave. We think, today price may form new correction to return to level of 1285 and then start another ascending structure to reach level of 1360, or even 1380.